The COMEX gold futures market and the London OTC gold market have a joint monopoly on setting the international gold price. This is because these two markets generate the largest ‘gold’ trading volumes and have the highest ‘liquidity’. However, this price setting dominance is despite either of these two markets actually trading physical gold bars. Both markets merely trade different forms of derivatives of gold bars. Overall, the COMEX (which is owned by the CME Group) is even more dominant that the London market in setting the international price of gold. This is a feat which financial academics ascribe to COMEX being a centralized electronic platform offering low transaction costs, ease of leverage, and “the ability to avoid dealing with the underlying asset” (i.e. 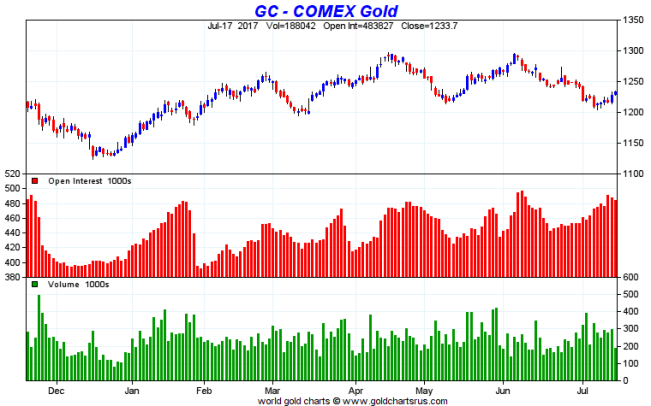 COMEX allows its participants to avoid dealing with gold bars). Because of these traits, say the academics, COMEX has a ‘disproportionately large role in [gold] price discovery”. Over 95% of COMEX gold futures trading is now conducted on CME’s electronic trading platform Globex, with most of the remainder done on CME’s electronic Clearport, where futures trades executed in the OTC market can be settled by CME. Next to nothing in gold futures is traded any more via pit-based open outcry. This last point, ‘flash crashes’ in gold futures prices, is particularly relevant for COMEX. Many readers will recall reading about one or more of these COMEX gold futures price ‘flash crashes‘ during which large quantities of gold futures are shorted in a concentrated interval of time (e.g. within 10 or 20 seconds) which causes the gold price to completely collapse in free fall fashion over that very short period of time. For example, on 26 June this year, the COMEX gold price free fell by nearly 1.5% within a 15 second interval, amid a huge spike in trading volume to more than 18,000 August gold futures (56 tonnes of gold) during the 1-minute period around the crash event. 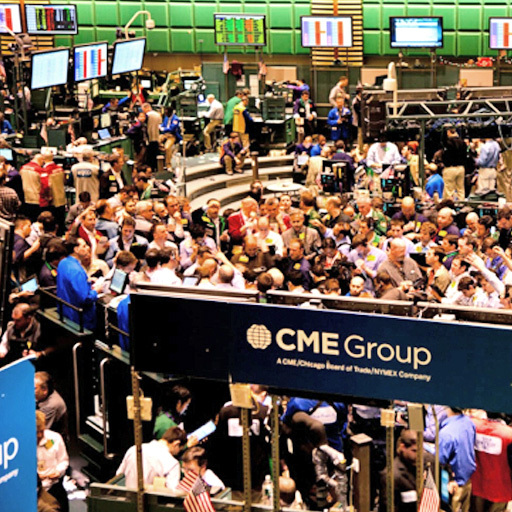 On January 6, 2014, the COMEX gold price fell by over $30 in a few seconds, from $1245 to $1215 on huge volume, forcing the CME to introduce a temporary trading halt. On April 12, 2013, aggressive selling of gold futures contracts representing over 13.4 million ounces (more than 400 tonnes of gold) hit COMEX gold futures in two waves during the London morning trading session sending the gold futures price down by more than 5%. The following Monday, April 15, 2013 the COMEX gold price rapidly fell by another 10%. Whether these flash crashes are the result of trading errors, futures market illiquidity, computerized trading patterns or deliberately engineered moves is open to debate. Engineered price takedowns, where an entity initiates an order with the intention of moving the futures gold price in a downward direction, are distinctly possible. However, concentrated gold futures shorting over tiny time intervals doesn’t have to be in the form of one large trade or a series of relatively large trades. All a shorting tactic of this type has to do is to either trigger the price to move down through certain thresholds which then triggers stop-loss orders, or to trigger and induce trading reactions from trading algorithms that monitor gold futures prices. Once sentiment is damaged through rapid downward price movements, the result can affect gold futures trading sentiment for the rest of the day and indeed over subsequent days. But beyond the possible or probable individual acts of price manipulation on the COMEX, it is important to realize that the very structure and mechanics of the COMEX create a system in which gold futures trades can be executed in large volumes in a virtual vacuum which has no connection to the physical gold bullion market, no connection to gold bar and gold coin wholesalers and retailers, and which doesn’t even have any connection to the vaulted gold residing within the COMEX approved vaulting facilities (aka COMEX warehouses aka COMEX vaults). These underlying mechanics of COMEX, which are discussed below, allow the generation of massive gold futures trading volumes and open interest, huge leverage and large non-spot month position limits, a high concentration of speculative trading by a small number of banks, and a lack of transparency into the gold ‘delivery’ process. And at the foundation of the system, there are very small physical gold holdings in the COMEX approved vaults. COMEX gold futures contracts are derivatives on gold. Importantly, a COMEX gold futures contract comes into existence any time two parties agree to create that contract. This means that COMEX gold futures contracts can continue to be created as long for as there are interested buyers (longs) and sellers (shorts) willing to bring these gold futures contracts into existence. Therefore, there is no hard upper bound or supply limit on the amount of gold futures contracts that can be created on COMEX. This is very similar to the unit of trading of gold in the London market, i.e. unallocated gold, which is also a derivative that can be created in unlimited quantities. In both cases there is no direct connection to real physical allocated and segregated gold bars. Technically, the value of any futures contract is derived from the value of its underlying asset, and in this case the underlying asset, nominally anyway, is physical gold. But perversely in the global gold market, the value of the gold futures is not being derived from the value of the underlying asset (physical gold). Instead, the value of the world’s physical gold is now being consistently and continually derived via this out-of-control and unhinged gold futures trading. Contractually, COMEX 100 ounce gold futures contracts (COMEX code GC) are futures contracts that offer a physically deliverable option, i.e. to deliver/receive 100 ounces of minimum 995 fine gold (in either 100-ounce gold bars or 1 kilo gold bars format) on a specific future date. However, the vast majority of COMEX 100 ounce gold futures are never delivered, they are offset (closed out) and cash-settled, or else they are rolled over. Only a tiny fraction of these gold futures contracts are ever ‘delivered’. Again, this is similar to unallocated gold in the London market, which is a cash-settled gold derivative. COMEX is also a speculative market, where leverage (due to the use of trading margin) is used to create outsized trading volumes, and where initial position limits for individual traders are far larger than the quantity of underlying gold being stored in the COMEX approved vaults. These factors combine to create what is in effect a Las Vegas type casino. This casino encourages vast speculative trading of futures which will never be delivered, and vast shorting (selling) claims on large quantities of gold which a) the shorter does not possess, b) are not even stored in the COMEX system, and c) are many multiples of annual gold supply). Conversely, the buyers are going long on claims on gold which will a) will never be delivered and b) which nearly none of the trading counterparties even wants to have delivered. 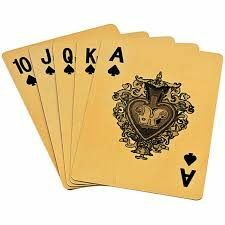 The players in this casino have no interest in secure gold storage or allocated gold bars or bar brands or bar serial numbers. After all, as the academics put it, the COMEX provides “the ability to avoid dealing with the underlying asset”. Even when COMEX gold futures for used for hedging purposes, much of this hedging is by bullion bank traders so as to hedge unallocated London gold using COMEX futures, i.e. hedging cash-settled paper bets with cash-settled paper bets. And both sets of instruments structurally have nothing to do with the real physical gold market. Even back in December 1974, when COMEX gold futures were about to be launched (and which coincided with a lifting of the ban on US private ownership of gold), a group of major gold dealers in London including 3 of the 5 primary London gold dealers, i.e. Samuel Montagu & Co, Mocatta & Goldsmid, and Sharps Pixley & Co, told the US State department that they believed that this new gold COMEX futures market would dwarf the physical gold market i.e. 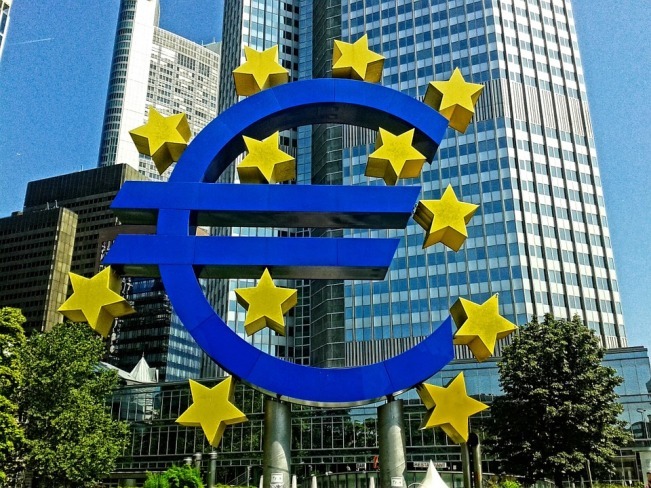 “would be of significant proportion, and physical trading would be miniscule by comparison“. These dealers expected that “large volume futures dealing would create …. a highly volatile market” whose “volatile price movements would diminish the initial demand for physical gold” that the US Government feared from the lifting of the gold ownership ban. In hindsight, it was perceptive and prophetic that these major participants of the then fully allocated gold market in London in 1974 saw that the introduction of gold futures would create what we are seeing now, i.e. huge trading volumes, high price volatility, and a market (COMEX) which has an adverse effect on pricing in the physical gold market. Two revealing trading metrics for COMEX gold futures are trading volumes and the “Open Interest” on gold futures contracts. “Open Interest” simply means the number of gold futures contracts that are outstanding at any given time that have not been closed or delivered. For 2016, COMEX gold futures trading generated a trading volume of 57.5 million contracts, representing 178,850 tonnes of gold. This is nearly as much gold as has ever been mined in the history of the world, i.e. which is estimated to be 190,000 tonnes. This COMEX trading volume in 2016 was also a whopping 37% higher than in 2015. In 2016, while 57.5 million gold futures contracts traded, only 71,380 COMEX gold contracts were ‘delivered’. This means that only 0.12% of COMEX gold contracts that traded in 2016 were ‘delivered’. Delivered in this context means that the delivery option on the contract was exercised and a warrant representing 100 oz of gold on that contract changed hands, i.e. title documents to gold were shunted around a COMEX/vault recording system, mostly between bank holders. Delivered does not mean gold was withdrawn from a COMEX approved vault and delivered to an external location. 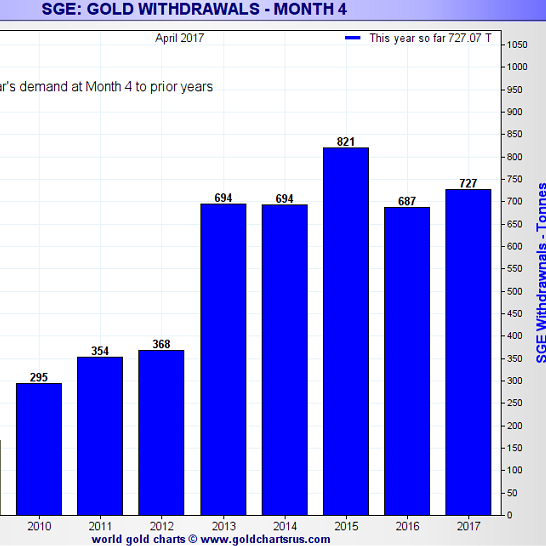 The concept of gold vault withdrawal numbers, which is a bread and butter metric for the physical Shanghai Gold Exchange (SGE), is totally alien to the COMEX and its trading participants. For the first six months of 2017, trading volumes in the main COMEX gold futures contract (GC) reached 32.7 million contracts, representing 101,710 tonnes of gold. This was 12% up on the same period in 2016. When annualized, this suggests than in 2017, COMEX is on course to trade more than 200,000 tonnes of gold, which will be more than all the gold ever mined throughout history. 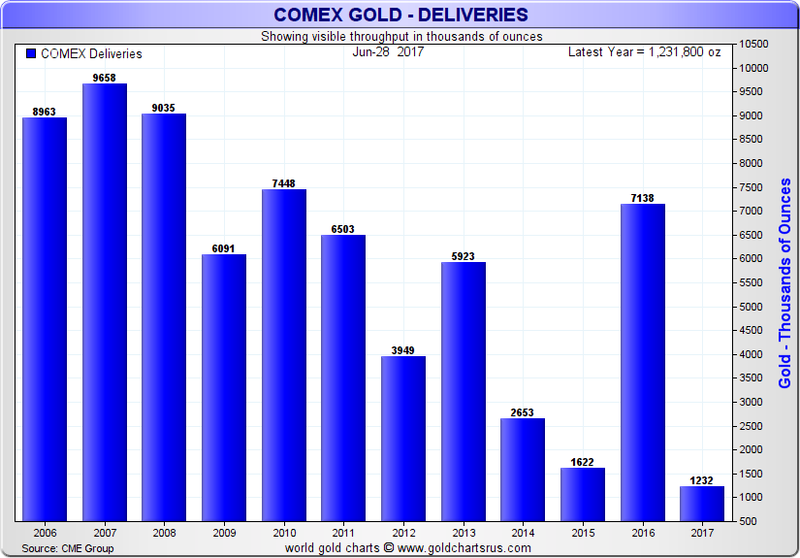 In the first half of 2017, only 12,320 gold futures contracts (representing 38 tonnes) were delivered on COMEX. This means that from January to June 2017, only 0.037% of the COMEX gold contracts traded in that six month period were ‘delivered’, or just 1 in every 2650 contracts traded. Beyond the trends and snapshots that trading volumes provide, COMEX Open Interest shows how much real physical gold would be needed if all longs who hold gold futures contracts decided to exercise every contract into the 100 ounces of physical gold that each contract supposedly allows for. For example, currently there are 480,000 GC gold futures contracts outstanding on the COMEX, each of which represents 100 ounces of gold. This means that buyers of the contracts are long 480,000 contracts, and sellers of those same contracts are short 480,000 contracts. With each contract worth 100 ounces of gold, this is an open interest of 48 million ounces (1500 tonnes) of gold, which is about half a year’s global gold mining output. Currently 46% of this open interest is in the front-month August 2017 contract (nearly 750 tonnes), with another 40% in the December 2017 contract. Together the August and December contracts represent over 85% of the current open interest. During 2017, open interest has fluctuated roughly between 400,000 and 500,000 contracts at any given time. However, there are only currently 22 tonnes of ‘Registered gold’ in the COMEX approved vaults in New York, which is equivalent to about 700,000 ounces. What this means is that there are only 22 tonnes of gold currently in the vaults that the vault operators previously attached warrants to as part of the COMEX futures delivery process. This 22 tonnes of gold, if it was held in Good Delivery gold bar format, would only occupy one small corner of one of the COMEX’s 8 approved gold vaults when stacked 6 pallets high across 3 stacks, and another 4 pallets in an additional stack. That’s how small the COMEX registered gold inventories are. The amount of Registered gold backing COMEX futures gold trading is also at a 1-year low. For example, in August 2016 there were 75 tonnes of Registered gold in the COMEX vaults. Now there’s only 30% of that amount. There is also no independent auditing of the gold that the COMEX reports on its registered and eligible gold inventory reports. So there is no way of knowing if the COMEX report is accurate. For example, HSBC claims to have 165 tonnes of eligible gold and a measly 1.5 tonnes of registered gold stored at its COMEX approved vault. This vault is located in the lower levels of 1 West 39th Street in Manhattan (the old Republic National Bank of New York vault). However, I heard from a former New York Fed senior executive that HSBC don’t keep a lot of gold in this Manhattan vault since they moved a lot of it to Delaware after 9/11 for security reasons. If this is true, then the question becomes, on the COMEX report, does the total for HSBC represent the amount they have in the midtown Manhattan location, or the total in midtown and Delaware (assuming they have gold stored in Delaware). COMEX approved vaults also report another category of gold known as ‘Eligible’ gold. This ‘Eligible’ gold is unrelated to COMEX gold futures trading and could be owned by anyone, for example owned by mints, refineries, jewellery companies, investment funds, banks or individuals, who would just happen to be storing this gold in the New York vaults that the COMEX also uses, such as the Brinks vaults. In other words, this ‘eligible’ gold is merely innocent bystander gold that just happens to be stored in the COMEX approved vaults in the form of 100-ounce gold bars or 1 kilo gold bars. At the moment, there are 243 tonnes of this eligible gold in the vaults. But this gold is not involved in COMEX gold futures trading. Some of this gold is probably owned by banks that engage in COMEX gold futures trading because there are sometimes movements of gold from the eligible category to the registered category, but still, as long as it’s in the eligible category, this gold does not have any COMEX related warrants attached to it. With an Open Interest of 1500 tonnes of gold on COMEX, and with registered gold in the New York vaults totalling only 22 tonnes, this means that there are currently 68 “Owners per Ounce” of registered gold. 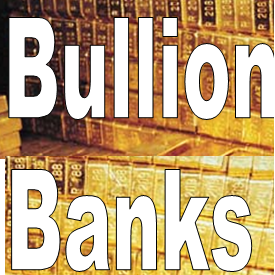 The holders of allocated gold bars stored in a secure vault, such as BullionStar’s secure vault in Singapore no not face this 68 owners per ounce problem, as each gold bar is owned by one person and one person only. Since the beginning of 2017, this COMEX “owners per ounce of registered gold” metric has risen sharply, more than doubling from under 30 owners per ounce to the current ratio of 68 owners per ounce. This is because registered gold inventories have fallen sharply over this time. Even adding into the equation all the eligible gold in the New York vaults, which is a calculation that doesn’t really mean much given the independent nature of eligible gold, there are still 5.7 “owners per ounce” of the combined COMEX “eligible and registered gold” total. The physical gold foundations to the entire COMEX gold futures trading process are therefore very tiny in comparison to COMEX trading volumes and open interest. And all the while, gold futures trading volumes continue to rise, owners per registered ounce of gold continues to rise, and the amount of physical gold backing these contracts on COMEX continues to shrink. The latest Commitment of Traders (COT) report produced by the US Commodity Futures Trading Commission (CFTC), for 11 July, includes market concentration data for the percentage of contracts held by the largest holders. This COT report currently shows that “4 or Less Traders” are short 35% of the COMEX GC gold futures open interest, while “8 or Less Traders” are short a combined 51% of the open interest. Note that the “4 or Less Traders” are a subset of the “8 or Less Traders”. The CFTC also publishes a Bank Participation Report (BPR) showing metrics for banks involved in gold futures trading. The latest BPR for 11 July shows that 5 US banks are short 78063 contracts (16.4% of the total open interest), and 29 non-US banks are short another 67,373 contracts (14.2% of open interest). In total, these 34 banks were short 145,000 contracts or 30% of the open interest. The same banks were long 40,688 contracts, so were net short 105,000 contracts. 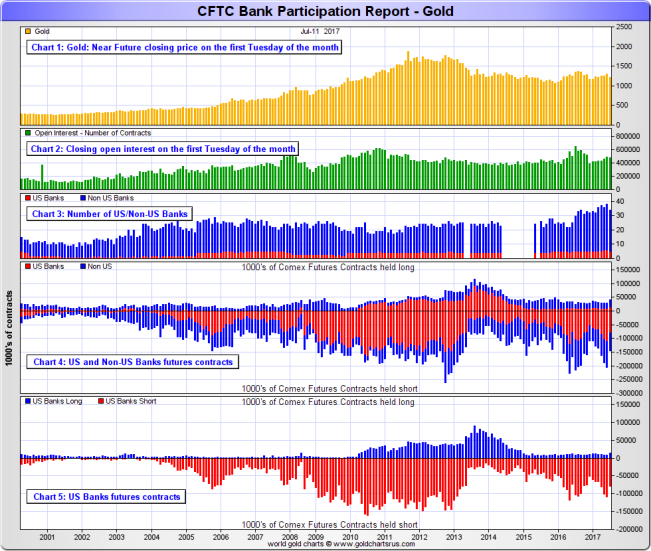 Neither the COT report nor the BPR report reveal the identity of the ‘traders’ or the ‘banks’ that hold these concentrated large positions because the bank friendly CFTC choses not to do so, but even without their identities being revealed, it’s clear that a small number of entities are dominating trading of the COMEX gold futures contracts. When is a Delivery not a Delivery? The COMEX delivery report is known as the “Issues and Stops Report”. This report ostensibly shows the number of contracts that were ‘delivered’ on the COMEX each month, but in reality just shows a series of numbers representing the quantity of title warrants (to gold bars) that were shunted around each month between a small handful of players. The COMEX does not publish any gold bar weight lists of registered or eligible gold inventories held in the COMEX approved vaults. It is therefore impossible to check to what extent the same gold bars or some of the same gold bars are moving back and forth between a few parties over time. On an annual basis, each COMEX approved vault must conduct a precious metal inventory audit on behalf of the COMEX and file this audit with the COMEX within 30 days of completing it. However again, the CME Group does not publish these inventory audits, which only adds to the existing opacity of the system. Is the registered gold in the COMEX vaults even specifically insured? Who knows, because the COMEX does not divulge such details. Some of the bank institutions which are prominent on the COMEX gold delivery reports are also some of the same institutions which operate the COMEX approved vaults, e.g. HSBC, JP Morgan and Scotia, and these same names are undoubtedly some of the names underlying the CFTC’s Bank Participation Report given that they are always prominent on the COMEX delivery reports. By the way, these same banks essentially run the LBMA in London and run the unallocated gold clearing system, LPMCL, in the London Gold Market. As regards, the COMEX’s assignment of delivery for gold futures contracts, this is also out of the hands of a contract holder looking for delivery. When a contract is presented for delivery, it is the Exchange (COMEX) which assigns the delivery to a specific warehouse. Not the contract holder. The contract holder (long) has no say in choosing which New York warehouse that contract will be assigned to, no choice of which bar brand he/she will receive, and no choice even of whether the assigned gold will be in the form of a 100 ounce bar of three 1 kilogram gold bars. But even to the long holder seeking delivery, delivery just means gaining an electronic warehouse warrant issued in the long holder’s name or broker’s name (title to the warrant). To take real delivery of gold bars (withdrawing gold from one of the New York vaults) that would arise from a COMEX ‘delivery’ is a laborious and discouraging extra step. Armed with a copy of an electronic receipt, the procedure involves the receipt holder directly contacting the warehouse in question and telling them you want physical delivery. How they would react to such as phone call is not clear. My guess is that it would be like visiting the mailroom in a large company, the reaction being ‘Who are you? No one ever comes down here‘. 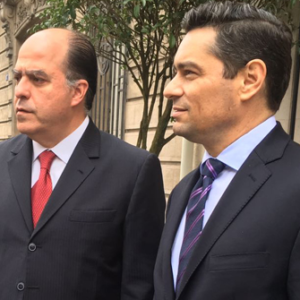 After navigating the withdrawal negotiations with the vault in question, the pickup and transport of the gold bars is then organized using one of the list of secure transport alternatives that approved warehouse will allow. The COMmodity EXchange (COMEX) is a derivatives exchange that is not designed for buying physical gold, storing or delivering that gold, or even selling physical gold. The COMEX primarily facilitates speculation and hedging, with the delivery option just existing as a little -used side option. Flash crashes continue to occur but neither the CME nor the CFTC ever publishes explanations for the causes of these flash crashes. It looks certain that in 2017, COMEX will again smash its gold futures trade gold futures representing more gold than has ever been mined in human history, i.e. more than 200,000 tonnes equivalent. So far in 2017, only 1 in every 2650 gold futures contracts traded on the COMEX has resulted in delivery i.e. less than 0.038% of the contracts go to delivery. The rest, 99.962% of contracts are cash-settled and closed-out / rolled. 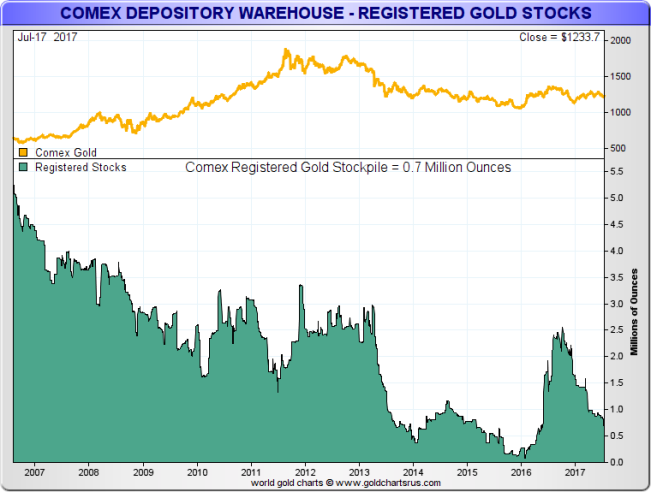 The open interest in COMEX gold futures is currently 1500 tonnes, yet there are only 22 tonnes of Registered gold in the COMEX vault inventories. This means that there are 68 owners per ounce of registered gold. There is continually a high concentration of short futures positions held by a small number of banks on COMEX. The CFTC doesn’t name these banks. When contract deliveries occur on COMEX, it is not a delivery in the sense of a gold bar movement but is merely a transfer in title of a warrant attached to a bar. Withdrawal of a gold bar or bars out of the COMEX vaulting network to be really delivered to another location is not straightforward. With the London Gold Market trading unlimited quantities of unallocated gold which the bullion banks create out of thin air, and with COMEX trading gold futures which are also created out of thin air, the disconnect between the world of unlimited paper gold and the world of limited physical gold is becoming ever more stark. On one side lies paper claims on gold which come into and out of existence through cash-settled market mechanisms. On the other is real physical gold that is segregated, allocated and unencumbered, with full title held by the gold holder. Paper gold ownership is fleeting, speculative and prone to counterparty and conversion risks. Real gold is tangible, has inherent value, has no counterparty risk, and can be securely stored. When real gold is ‘delivered’ to a gold buyer, it actually is delivered to the buyer to wherever they want it delivered, unlike COMEX deliveries where an electronic warrant is merely updated. When real gold is held in a secure vault, such as BullionStar’s vault in Singapore, the gold is fully-insured and the gold holder has full audit and control. Unlike the COMEX and the London OTC gold market, the traditional gold buying markets of Asia and the Middle East are markets know the real value of physical gold as a form of money and a form of saving. In the physical gold market, especially in Asia, gold buyers demand high purity gold (9999s purity) in convenient bar sizes such as 1 kilogram and 100 grams, and not the 100 ounce bar size traditionally made for COMEX delivery. 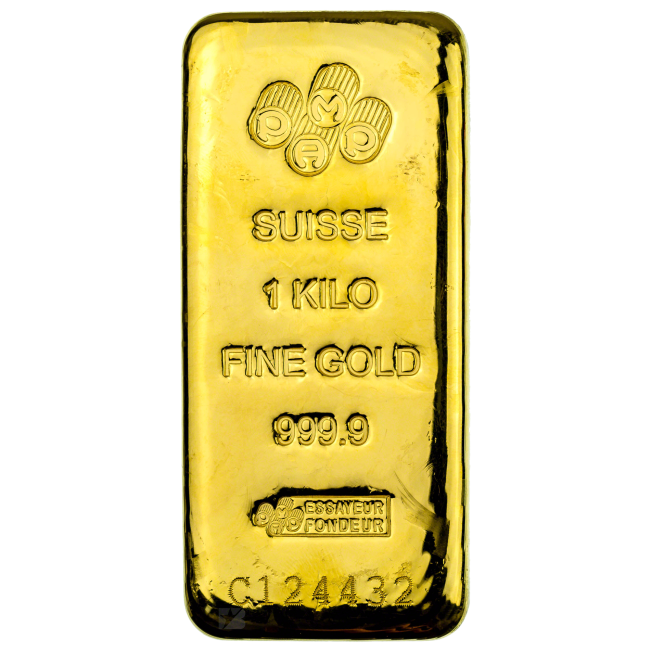 Physical gold buyers want gold bars from trusted and well-known sources, and also want choice and variety for example a cast bar from the German Heraeus refinery, or a highly designed minted bar from the Swiss refinery PAMP. Kilobars and 100 gram gold bars also have the lowest premiums of any bars on the retail market since many refineries compete to supply this segment and the demand is widespread and international. Most kilobars and 100 gram bars have their own unique serial numbers which facilitates tracking and auditing. As COMEX pursues its record-breaking attempt in 2017 to trade gold futures representing more than 200,000 tonnes of gold, the disconnect between COMEX and the real world is becoming all too clear. COMEX flash crashes will continue as long as the CME and CFTC let them continue. And many people will continue to believe that these flash crashes were deliberately orchestrated. But at the heart of the contradiction between paper gold and real gold is not whether such and such a flash crash was deliberate. The heart of the contradiction is that the very structure of the COMEX system is so detached from the reality of physical gold market that it ideally suits deliberate flash crash attempts to rig the gold price. BullionStar will be exhibiting at the FreedomFest event in Las Vegas, which this year runs from July 19 to 22 at the Paris resort in Las Vegas. For those attending FreedomFest please drop by our stand and say hello (Booth number 321) and to chat about precious metals. BullionStar CEO Torgny Persson will also be speaking at FreedomFest at 2:30pm on Friday July 21, on why today’s gold price is not reflecting what’s happening in the world and not reflecting what’s happening in the physical gold market.